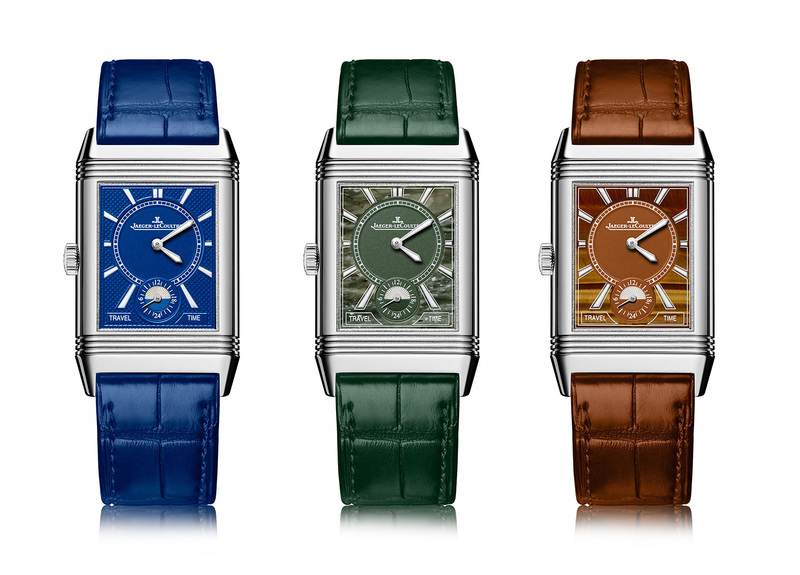 An option for the men's Reverso Classic Large Duo Small Second. Rolled out just last year, Atelier Reverso allows would-be buyers to mix and match from dozens from dial and strap options to create a custom Reverso. 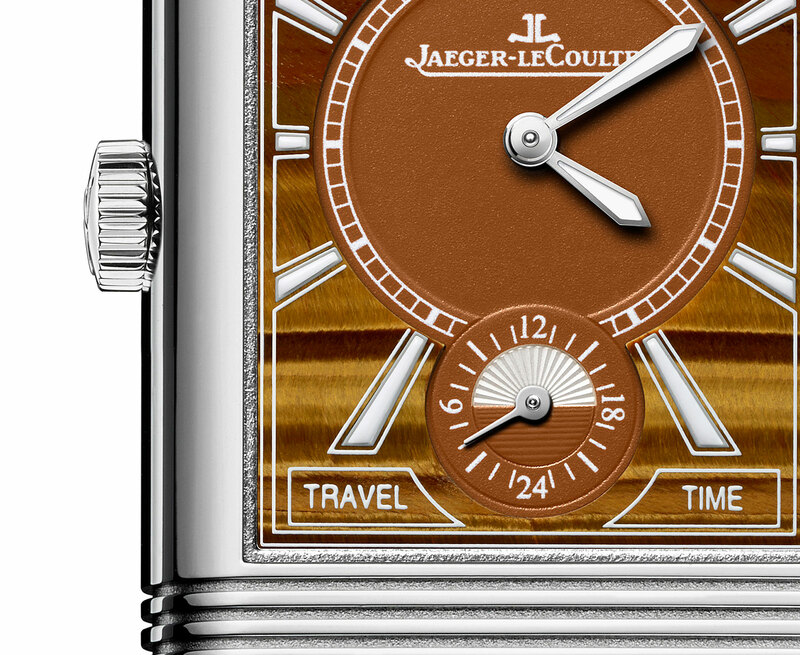 According to Jaeger-LeCoultre, some 5277 combinations are possible. While most of the options are for ladies’ Reverso watches, including some styled by shoe designer Christian Louboutin, the latest dial offerings are for men. 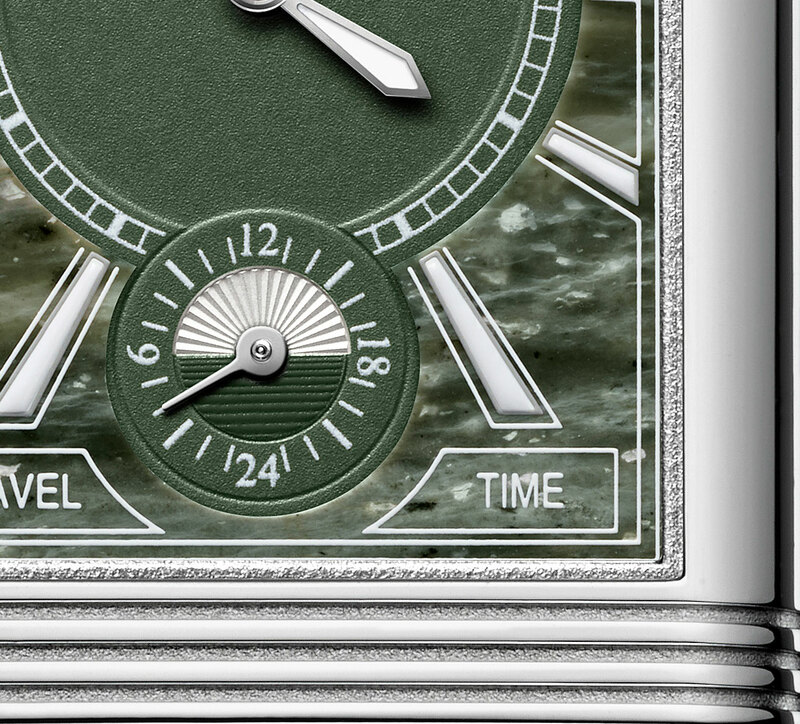 Designed for the Reverso Classic Large Duo Small Second, the new dials include two in natural stone – green marble and tiger’s eye. Meant for the flip of the watch – the front dial remains the classic silvered Art Deco face – the new dials are a colourful departure from the current crop. The green marble has a vague military camouflage look, while the tiger’s eye has been cut so the grain is parallel with the bands on the case. And the third dial is a bright electric blue that’s a galvanic coating. Atelier Reverso is available at Jaeger-LeCoultre boutiques, or via an iPhone app. Van Gogh is immortalised in miniature enamel on the Jaeger-LeCoultre Reverso à Eclipse limited edition.